Game of Thrones: The return of Brynden the Blackfish, yay! 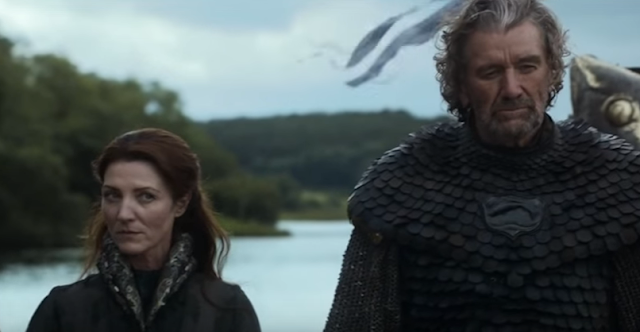 More good news for Jon and Sansa - their great-uncle, Brynden (The Blackfish) Tully has apparently retaken Riverrun. I say ‘apparently’ because this news comes via Petyr Baelish and, with a track record like his, Sansa should beware. Although clearly hacked off with him, she still seems slightly under his sway. Or is it that she’s becoming the master of The Game, and it will be he who ends up as her pawn? I like the poetic justice of that idea. Still, we do know the Blackfish is definitely back for this series, but is it as a conquering hero, or is he being used as bait? 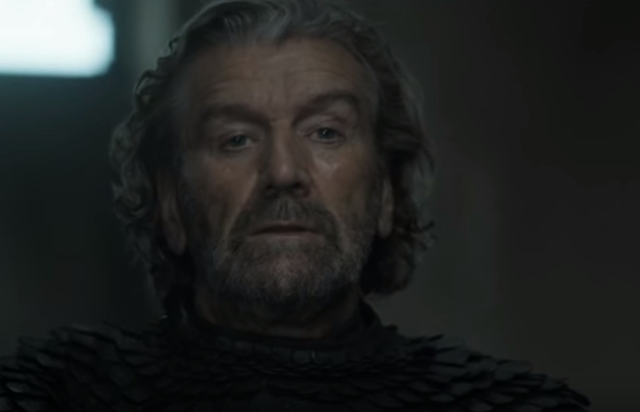 Saved from the carnage at the Red Wedding purely because he needed to take a leak, Brynden escaped and has not been seen since Series 3. And his story is probably closer on screen to the books than anyone else - he does indeed disappear after the slaughter, but it’s from Riverrun that he escapes, where he was left by Robb to be Warden of the South, when the wedding party headed to the Twins. While other river lords surrendered, Brynden held Riverrun, proudly flying the Stark’s direwolf banner overhead while besieged by Lannister and Frey forces. Well aware of the situation they’d be in, he brought in the harvests and sent away those he wouldn’t need but who would be extra mouths to feed. Ser Ryman Frey, in charge of the siege forces, wheeled out the once-ecstatic bridegroom, Edmure Tully, on a daily basis, with a noose around his neck - yet still Brynden refused to yield Riverrun, or Robb’s widow in the book, Queen Jeyne Westerling, who was also left behind. It’s only when a new, diplomatic Jaime arrives that he agreed to parley - mainly to find out why Sansa and Arya hadn’t been returned as previously agreed - then still refused to surrender. It was Edmure who finally persuaded him, after Jaime pointed out that the first wave of soldiers he sent in would be Northmen, setting kin versus kin.